For the first time, global average connection speeds have surpassed the 3 Mbps mark. Meanwhile, the demands of the mobile world are growing very fast, with data traffic doubling in the last year. 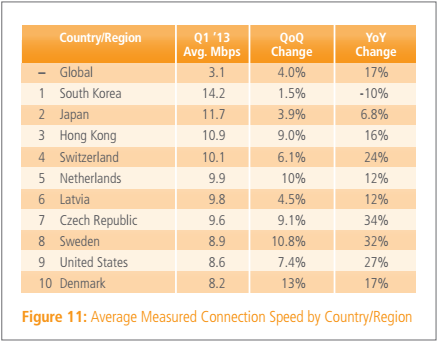 The latest figures come from Akamai, which today published its quarterly State of the Internet report for Q1 2013. As always, the firm took a look at global network connectivity and connection speeds, broadband adoption and availability, as well as security. The biggest news, however, is that between Q4 2012 and Q1 2013, the global average connection speed rose 4 percent from 2.9 Mbps to 3.1 Mbps, or 17 percent year-over-year. Akamai listed 123 countries/regions as experiencing an increase in average connection speeds year-over-year, ranging from 1.4 percent in Oman to 122 percent in Iraq. 117 of them saw their average connection speeds increase this past quarter, ranging from 0.7 percent in Kuwait to 75 percent in Guatemala. Global broadband adoption, which Akamai rates as speeds of 4Mbps and up, increased 5.8 percent last quarter to reach 46 percent. Global high broadband, rated as 10 Mbps and up, reached 13 percent thanks to a 10 percent increase over the previous quarter. 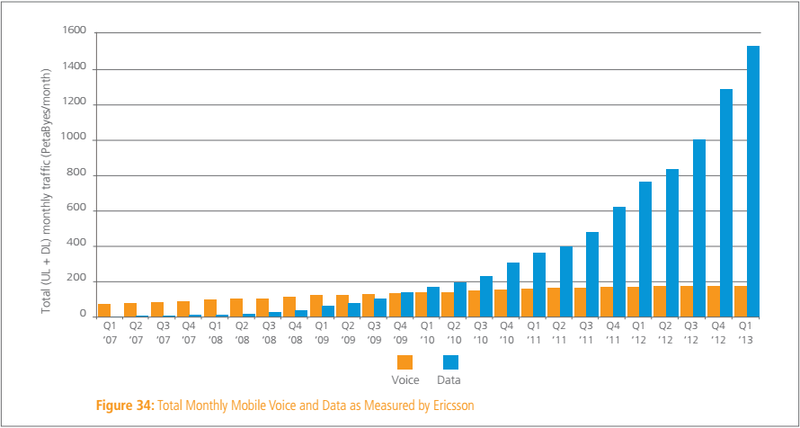 As you can see, mobile voice traffic continues to increase as well, though at a slower rate of 4 percent growth quarter-over-quarter. A further breakdown of streaming and browsing would be rather interesting, we think. In Q1 2013, average connection speeds on surveyed mobile network operators ranged from a low of 0.4 Mbps to a high of 8.6 Mbps. Only nine operators demonstrated average connection speeds in the aforementioned broadband category while 64 more operators showed average connection speeds above 1 Mbps. 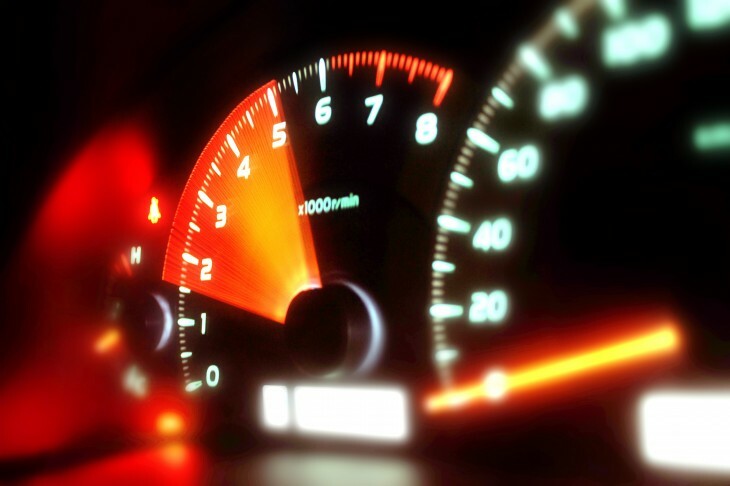 In the not-so-distant future, we’d expect mobile speeds to start accelerating. As the number of mobile users continues to explode, so should competition for these potential customers.